Hosts: Mary Robinette Kowal, Rob Shearman. 1,307 valid final ballots (1,295 online, 12 paper) were cast by the members of Loncon 3. 233 valid nominating ballots (226 electronic and 7 paper) were received and counted from the members of LoneStarCon 3, Loncon 3 and Sasquan. 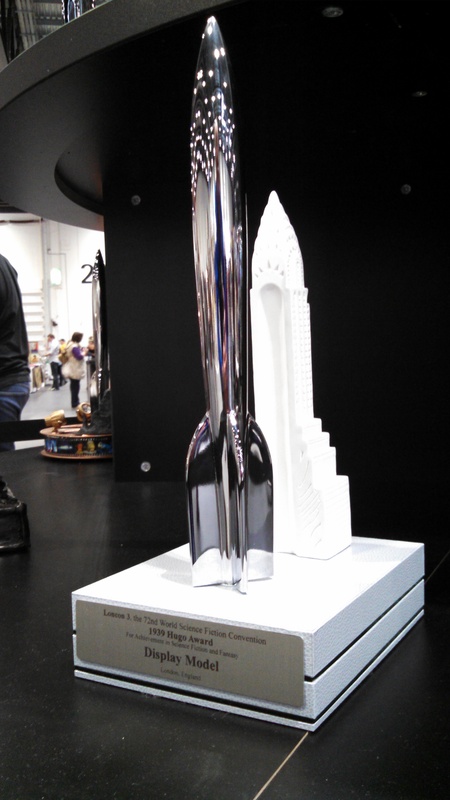 The 2014 Worldcon solicited nominations for the 1939 Retrospective Hugo Awards for the same categories as the 2014 Hugo Awards. Categories in which there were an insufficient number of nominations to justify staging the category were dropped, per the provisions of the WSFS Constitution. Direct administrative questions about the 1939 Retrospective Hugo Awards to the Loncon 3 Hugo Administration Subcommittee. My Dad suggested a story for me to read years ago that I think was written in the 30’s. I don’t remember the title or the author, but it was a story of a blind minstrel or poet that hooked rides planet to planet, telling stories in exchange for passage. On his last trip there was a reactor malfunction and he saves the ship by exposing himself to the radiation. Anyone know the story or the author. Your description appears to be that of “The Green Hills of Earth” by Robert A. Heinlein. I’ll point out that there were no such things as fanzines in 1939. The term wasn’t invented until 1940. In 1939 they were referred to as Fan Magazines. The keepers of the Long List should consider adding a footnote about that. Water under the bridge now, of course, but I find it a bit amusing that the winning short story (Clarke’s “How We Went to Mars”) appeared in my father’s Amateur Science Stories and yet it was his (my dad’s) Tomorrow which was nominated for Best Fanzine (which, unsurprisingly, went to Forry Ackerman’s Imagination!). Perhaps A.S.S. (unfortunate acronym, that) didn’t qualify as a fanzine.